Bungie has responded to the problem of Xur selling Wavesplitter, the gun that’s a timed PlayStation 4 exclusive, to people that are playing on Xbox One and PC. When they deploy a fix, those on PC and Xbox One that have managed to obtain the gun will get to keep it, but won’t be able to use it until it becomes available to everyone in September. Yes, indeed, it would seem that the good folks over at Bungie have made a bit of a boo-boo. It would appear that, due to some issue, Xur has been selling the Wavesplitter gun. This wouldn’t have been much of an issue, except for the fact that the Wavesplitter was supposed to be a timed exclusive for the PlayStation 4 crowd. People playing on PC and Xbox One were to get access to it in September. That’s when Bungie meant for the Wavesplitter to enter the general Exotic pool for all to have the chance to earn. Of course, Bungie has responded to the situation fairly quickly. 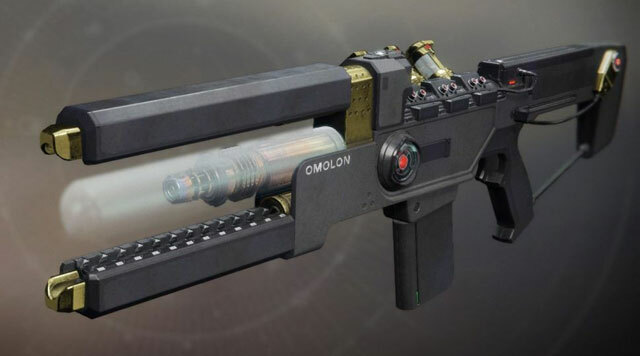 Cozmo of Bungie wrote a post on the Destiny 2 forum, saying that they’re investigating the issue, and that they’re “working on a fix.” Meanwhile, according to Cozmo, all of you on Xbox One and PC that have managed to get your hands on the Wavesplitter, you’ll be able to use it until they put out a hotfix. Once they do, you’ll still get to keep the gun in your inventory. You just won’t have access to it until the PS4 exclusivity period wraps up. So there you have it, non-PlayStation 4 Guardians. I’d say this us just about the fairest of solutions for this situation. No reason to punish those that have spent their hard-earned currency for a developer mistake. On the other hand, this way, Bungie is going to honor their promise of exclusivity to people on the PS4.